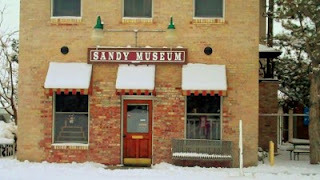 The Sandy Museum is having a fundraiser, which is an Antique Appraisal Fair and Antique Show, on May 5, 2012 from 10:00 a.m. to 4:00 p.m.
Nate Bischoff of "Bear Cat Antiques"
Gary Thompson of "Gary Thompson Antiques"
All appraisals will be $3.00 per item, you can bring in as many items as desired. Last year they had a "world find" come in which was the Nuremberg Chronicle hand stamped book printed in 1493. Yes 1493...one of the oldest books in the world! The story went viral all over the world. All the news channels came out! Out in the parking lot they will have an Antique Show going on also. This event is sponsored by the Utah Antique Dealers Association. For questions, call the museum at (801) 566-0878.